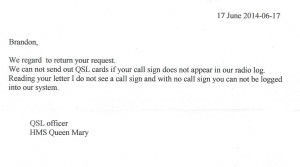 No QSLs from HMS Queen Mary for SWLs participating in the Museum Ships Weekend 2014 event! 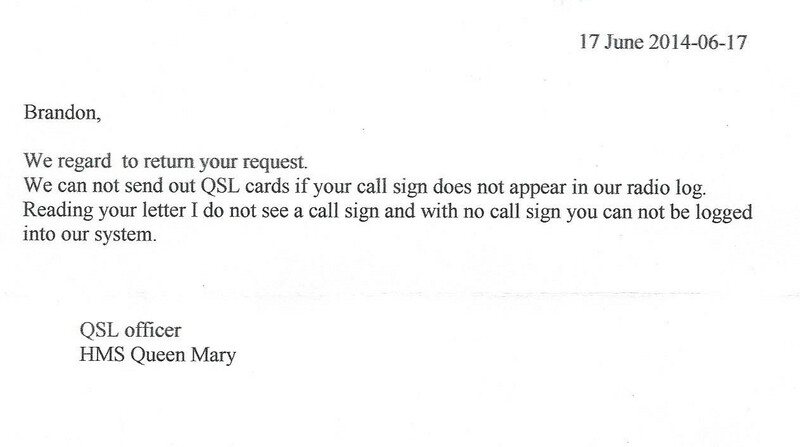 Out of the 30 event stations reported, this is the ONLY one that didn’t QSL. Very disappointing to say the least. This entry was posted in Amateur Radio, Special Event by Brandon. Bookmark the permalink.